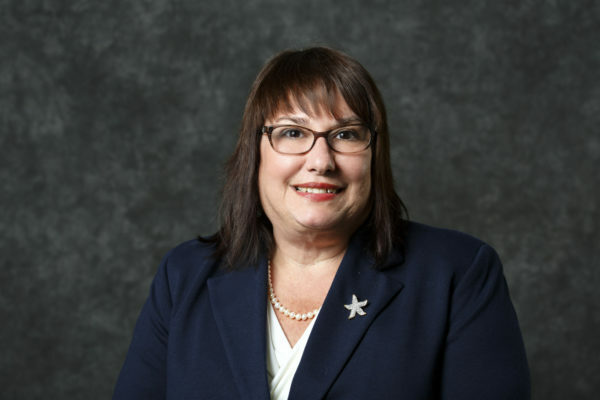 Dr. Joyce Marth Knestrick, PhD, C-FNP, APRN, FAANP, is the President of the American Association of Nurse Practitioners. She practices as a family nurse practitioner at Wheeling Health Right in Wheeling, WV. Dr. Knestrick earned a PhD at Duquesne University in Pittsburgh, PA, a Master's Degree in Nursing with a focus on primary care from West Virginia University, a BSN from Wheeling College, an ADN from Community College of Allegheny County and a BS in chemistry from Point Park College. She has 25 years of experience as a family nurse practitioner working in clinics that serve low income and underserved populations both in urban and rural Appalachian areas. A registered nurse for over 30 years, Dr. Knestrick has a variety of teaching experience at the diploma, BSN, MSN and doctorate level. As an organizational leader, she has served as an adjunct professor in organizational leadership master's programs. She has served multiple clinical roles as a family nurse practitioner, a nurse manager and a registered nurse in critical care, medical surgical, pediatric and long-term care settings. Dr. Knestrick's research agenda focuses on the health of low-income populations with a focus on issues that impact those populations such as smoking, hope, spirituality and access to care. As a nurse educator, she has 20 years as a distance educator and has been a pioneer in distance education for nurse practitioners. She serves on several committees for the National Organization of Nurse Practitioner Faculties (NONPF). She and her husband of 40 years enjoy their time together with their three grown children and grandchildren.